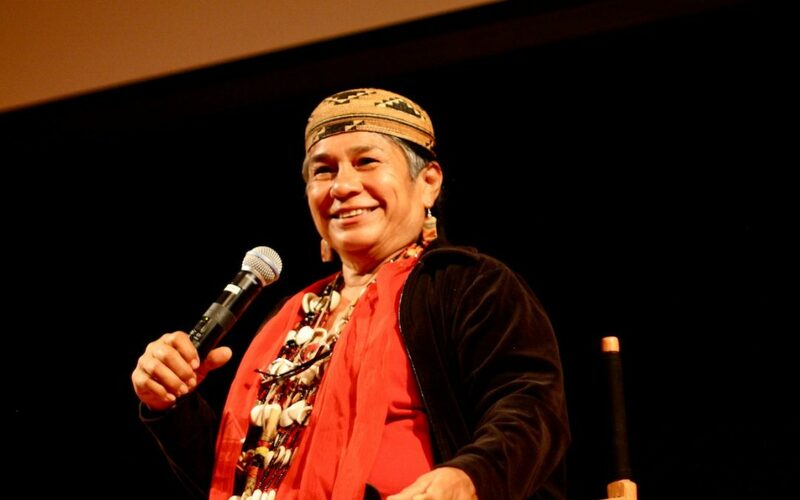 In August, the Sacred Fire Foundation will bestow the 2015 Wisdom Fellowship Award to Chief Sisk at our Ancient Wisdom Rising gathering in New York for her untiring efforts to preserve the spiritual practices and sacred sites of the Winnemem Wintu in the face of big dam projects and tourism. Chief Sisk has a deeply personal and sacred relationship with water: She hails from the Winnemem Wintu Tribe, known as the Middle Water People, who have a rich history over a millennia of thriving along the McCloud River near Mt. Shasta, their deeply revered mountain. The Winnemem Wintu believe they were born from water and their destiny and spirituality is inextricably linked to the health of the river and protection of sacred sites. “Dams are archaic,” she said, referring to the Shasta Dam, which drowned many sacred sites of Winnemem Wintu. “We were a salmon state. We had two of the largest rivers until the water was diverted for farming, and the salmon were unable to survive,” she said. The Winnemem Wintu also have a profound spiritual connection to Nur, the salmon, who they believe gave them their voice. The Shasta Dam also devastated the salmon by blocking their spawning run upstream. Chief Sisk shared how her elders taught her to have deep reverence for all life. “When a spring is dry that’s a sign of an unhealthy world,” she said. Over the past several years, Chief Sisk and the rest of her tribe have led a strong mobilization to stop the increase of the height of Shasta Dam, which would further hurt their spiritual traditions by drowning other sacred sites along the river. She expressed grave concerns about the Twin Tunnels Project proposed by California Governor Jerry Brown, where two underground 35-mile and 40-foot wide tunnels would divert the Sacramento River to south to the San Joaquin Valley as part of a plan to address the state’s water supply problems. This clash of cultures was covered in Standing On Sacred Ground’s film episode, Pilgrims and Tourists, which was screened nationally on PBS this summer. Chief Sisk shared the vision of the tribe to build a round house to strengthen their cultural and spiritual practices.